Movie Review: One can wonder how is it possible that the Iranian filmmaker Jafar Panahi, who was sentenced by the authoritarian regime of his country to 20 years without making cinema, still manages to direct clandestine masterpieces with a disarming simplicity, emotional truthfulness, social-political awareness, and delightfully humorous situations. Well, my theory is the following: if you really love what you do and have something to say, there’s nothing that can stop you. After his professional banishment, Panahi has directed critically acclaimed films that mix reality and fiction, thoroughly mirroring what he was experiencing at each of those well-defined time slots of his existence. If “This is Not a Film” was a raw documentary that aimed to denounce the humiliating deprivations he was subjected to, “Close Curtain” introduced a lot more fictional elements to build up an imaginative plot. These two films were made when he was under house arrest. 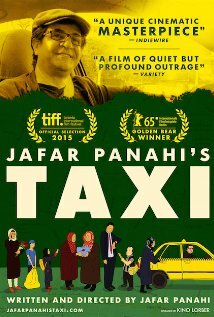 In his latest, “Taxi”, the most direct, enjoyable, and accessible documentary-like film from the currently censored phase, Panahi leaves home to show us a factual slice of today’s Tehran. He pretends to be a taxi driver who calmly rides throughout the city, interacting with a variety of passengers (real or fictional) in engrossing situations that tell us much about what his people think and how they feel, (re)act, and live. Not a single passenger is futile and the set fits perfectly the filmmaker’s intentions. Among them, we have a short man who illegally sells foreign movies, a wounded man who wants to change his will before dying, two superstitious ladies carrying a fish bowl, Panahi’s talkative niece who’s trying to make a ‘screenable’ short film for school, a conversation with a desolated childhood friend, and a fortuitous encounter with the affable ‘flower lady’ - another victim of the censorship. With an approach that is similar to Kiarostami’s “Ten” and a few references to Panahi’s old films, the unmissable “Taxi” is one of those cinematic wonders you want to prolong. Mr. Panahi’s only sin was not having more characters to ride – maybe because at the end some motorcyclist broke into his taxi. After this movie, I wouldn’t be surprised if, once again, he was considered a serious threat to the Iran’s security and banned from driving in the country.